Traveling to the Loop from The Write Inn is quick and convenient. Located minutes away from I-290, travelers can be downtown in as little as 20 minutes. If the train is more your speed, you can hop on the CTA Green “El” train and arrive downtown in about the same amount of time. With these options, its no wonder both tour groups and business travelers alike choose the Write Inn again and again. For simple directions, see below, or feel free to ask the front desk for a copy of directions prior to heading to your destination. Driving Directions to the Loop: Head east on Lake Street. Turn south (right) on Austin Boulevard. Turn east (left) onto the I-290 Expressway ramp. Go straight at the end of the expressway on to Congress Parkway. Driving Directions to the Write Inn (from downtown): Head west on any number of I-290 exits. Exit at Austin Boulevard. Turn right off the exit. Turn left onto Lake Street. Turn right onto Oak Park Avenue. The Write Inn is at 211 N. Oak Park Avenue. 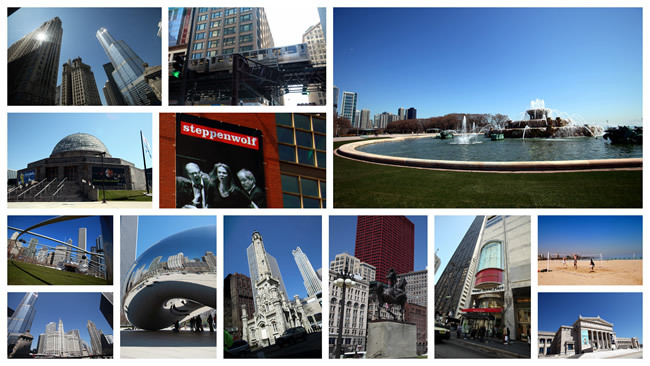 Taking the train: You can also get to and from the loop via Chicago's famous El Train. Click here to learn more!